While the process of digitization of local cable networks in Srinagar city almost blurred the lines between local cable connections and private satellite direct-to-home services (DTH), most of the people across Srinagar have preferred for set-top boxes supplied by local cable operators, worrying the distributors of private satellite DTH systems. According to the distributors, the sales graph has seen downfall this year, after ‘the burgeoning business in last few years. One among the many factors that is keeping the sales graph down is the following of Pakistani channels, which are not available on the private DTH services. Currently seven different brands – Tata Sky, Airtel digital TV, Dish TV, Sun Direct, Reliance Digital TV, DD Direct+ & Videocon D2H – of private satellite television providers are available in the market. The impulse to watch Pakistani channels emanates from the fact that many viewers in Kashmir identify themselves with Pakistani culture and Urdu language. The phenomenon is not strange to Kashmir where a lot of people want to remain updated with what is happening in Pakistan. During 1990s, the craze of Pakistan radio programmes would drive silence in the curfewed nights. People were seen fiddling with the dish antennas to catch a signal of PTV. Though the charisma, over the period of years, has faded now with the coming of advanced technologies and diversified choice, the trend has shifted to particular preferences of the audience. In Kashmir valley, there is a huge following of Pakistani TV serials, Islamic lectures and news debates in Kashmir valley, where more than 200 channels of the globe – mostly Indian – are available to the audience through local cable networks. Local news channels continues to be banned in Kashmir since 2010 uprising in which more than 100 youth were killed by Police and Indian Paramilitary forces in firing – one of the many measures government used to block out news from Kashmir. In addition to the unavailability of Pakistani channels, the absence of local Kashmiri channels, cost of channel packages and lack of choice, etc. are some of the reasons which have put a brake on the sales of DTH services. After initial surge in DTH sales in Kashmir people switched back to local cable networks because of the non-availability of Pakistani channels on DTH. Not denying the fact that many Kashmiri housewives are addicted to the daily Indian soap operas, but a lot of families including youngsters in Kashmir identify themselves with the Pakistani culture and tradition-hence Pakistani channels. “Local Kashmiri channels and Pakistani channels are not available on private direct- to-home services, so after digitization, we opted for a set top box, because our cable operator was providing us with the channels of our choice,” says Aneeka Fareed, a Pharmacy student from Srinagar who likes to watch Hum TV and never miss ‘Bul Bulay’- a famous Pakistani sitcom, broadcast on Ary Digital. Why Pakistani channels? “Because they show a Muslim set up to which we can easily relate. Moreover these Hindi serials make no sense and are revolving round the old melodrama which in this date looks weird,” Aneeka reasons. Mudasira is fed-up of “commercialised and unrealistic dramatic sequences” of Indian soap operas. 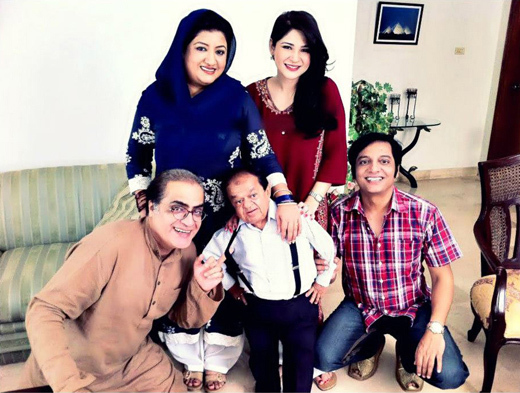 “Pakistani serials show a tender love affair and are relevant, far away from the idealistic showmanship of Indian serials,” says Mudasira, whose favourite serials are Bulbuley and Dugdugi. “For many people in Kashmir, watching Pakistani serials is a form of resistance,” he says. Pakistani’s are so pretty…and smart..I want to go to Pakistan. .their clothes,culture and looks are impressive.